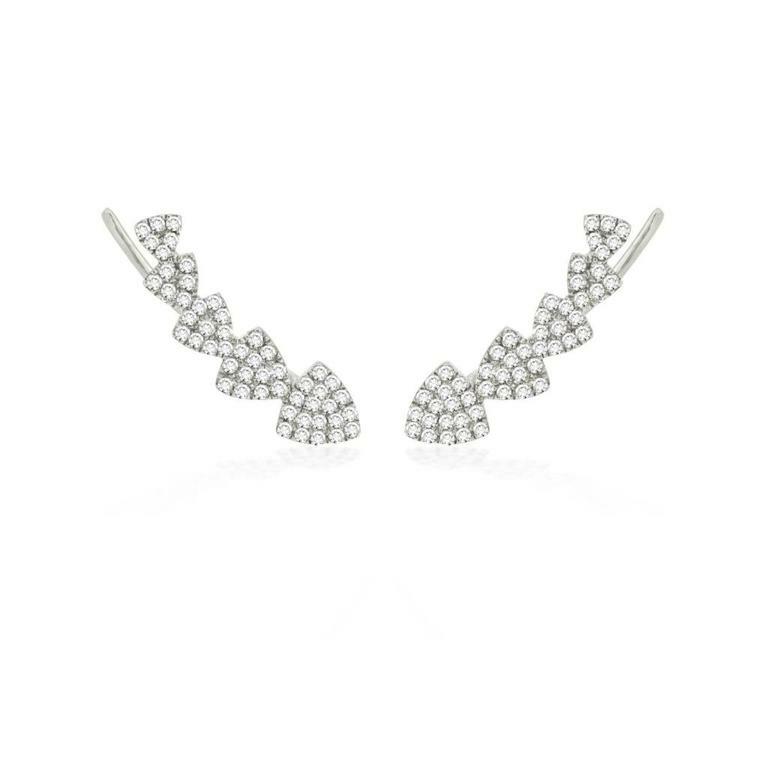 Ladies diamond ear crawler of contemporary styling. The earrings are crafted in 14k white gold and secure with a elongated post that runs behind the ear lobe. They are set with round brilliant cut diamonds that are pave set into tapering sized, soft cornered triangle shapes.